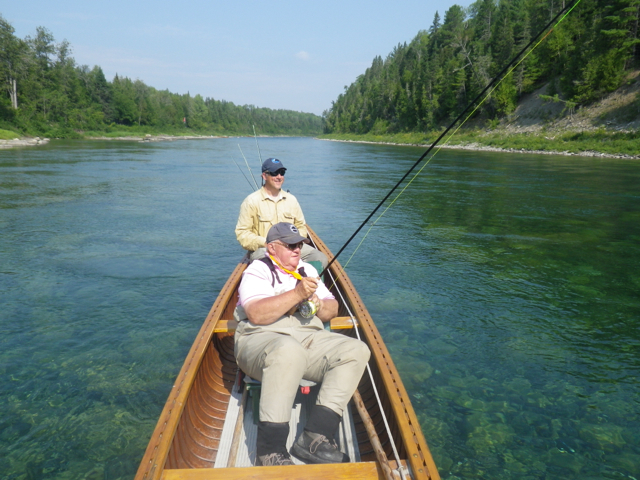 Owning an operating a salmon fishing lodge is a privilege and a very rewarding occupation. Over the many years I've had the opportunity to meet many wonderful people. 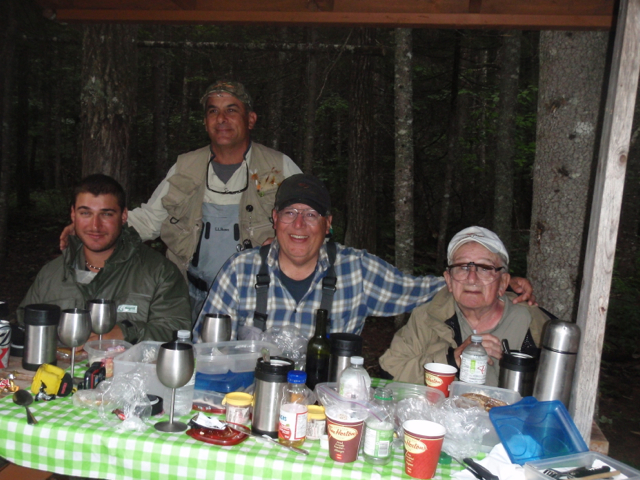 Wonderful people that share the same interest and passion for fly-fishing and especially Atlantic salmon fishing. This past week I had the honor of hosting and spending time with two of my favouriten guests, Phil Castleman and Raymond Hart. Phil along with his son's Joel and David have been coming to Camp Bonaventure for years. A number of years ago Phil introduced Ray Hart to Camp Bonaventure. The third week of August is always Phil's week at camp and again this year he showed up in fine form. Phil always has a fine sense of humor and has our guides and staff laughing from the minute he rises until he tucks in for the night. When Phil arrived at camp this year he didn't know that Ray was already here. They had no idea that they were at Camp Bonaventure the same week so when they met in the dining room that evening it was very special to say the least. From left to right three generations of castleman's Grandson Max, Son's Joel & Davis and Phil. Sharing a mid day lunch by the river. 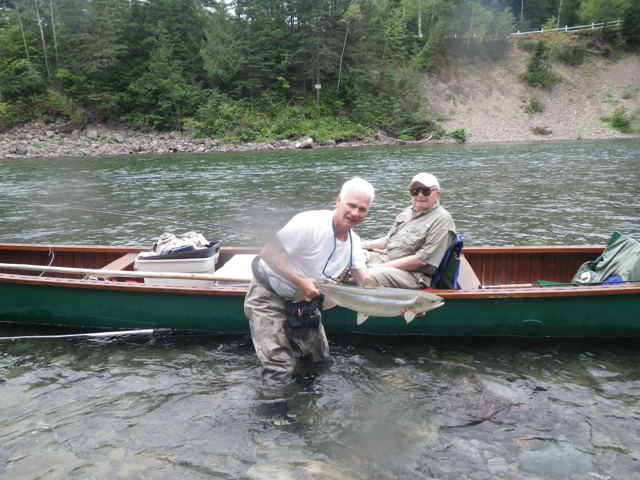 Phil and Camp Bonaventure guide Bruno LePage release nice salmon back to the Bonaventure. Fish on! Ray Hart plays one at Red Pine pool on the Boventure. Ray with a bright grilse. congradulations Ray! Its great to spend time and share stories with old friends, Phil and Ray sure fall into this category. I know they has a great time, both have booked back for 2014.